Based on the 720S from McLaren's Super Series, the 720S GT3 will make its public debut at the Bahrain GT Festival on 30th November, ahead of its maiden competitive appearance in the Abu Dhabi Gulf 12 Hours. 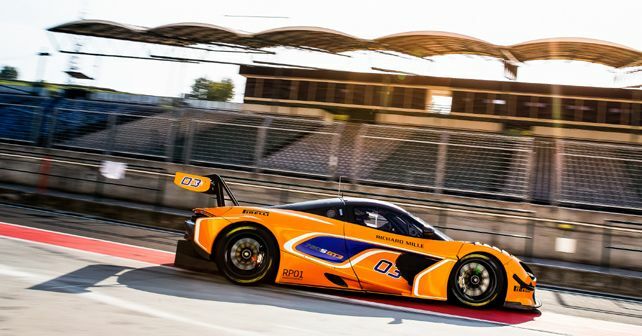 McLaren Automotive is all set to showcase its first in-house engineered and designed race car at this year's Bahrain GT Festival. Despite being in its testing phase, McLaren has agreed to showcase the car to the general public in a customer event. Next, the 720S GT3 will be the centre of attention during the Bahrain GT Festival, which will also encompass the inaugural FIA GT Nations Cup and the SRO GT4 International Cup. Following this appearance, McLaren will put the 720S GT3 through its paces by entering a Race Prototype (RP) in the Abu Dhabi Gulf 12 Hours event, which will take place at the Yas Marina Circuit from 13th-15th December 2018. This testing stage is a part of McLaren's comprehensive development programme which aims at covering more than 30,000km with various 24- and 36-hour tests being completed by multiple RP cars. Prior to the Middle-East testing phase, the Super Series GT3 challenger has already covered thousands of track kilometres at numerous circuits all over Europe. After the comprehensive testing programme, the 720S GT3 will be delivered to customer teams to compete in GT3 grids all over the world, starting from the 2019 season.